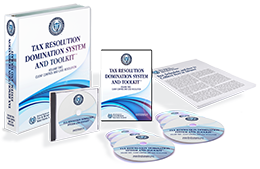 The average tax resolution case fee is $5,000 nationwide. What would your life look like if you were retained by one, three, five or ten new clients a month…every month? My done-for-you marketing plans. One for attracting 3 clients a month, one for attracting 5 clients a month and one for attracting even 10 or more clients per month, month-in, month-out... most of which can be accomplished without paid advertising. Just follow one of the plans and watch the clients roll in. Samples and examples of my all-time best performing ads, both on and offline... you get my tried and true, unedited proven newspaper and trade journal ads, banner, website and landing page ads and my award winning radio ads that literally brought in millions in new business that you can take and use virtually as is. Ready to use samples to creating the "PERFECT" brochure and newsletters - creating an iron-clad link between what you have to sell and the deep subconscious needs of your prospect. All the phone scripts and client management letters and email templates, for nearly every conceivable situation that you’ll ever need – Including the intake, initial consultation and scripts and engagement and client correspondence letters. You’ll never have to wonder what to say or what to send to get retained. Secure tens of thousands of dollars in free publicity using my proven Template for Positioning and Authority Marketing including a sample press release and a killer media kit. Answers to the 25 most common sales objections - Watch your "close" ratio shoot through the roof once you learn these magic phrases. The REAL secrets to structuring your "One Call Close" initial consultation sales presentation for maximum effectiveness... Increase your "close" ratio to 90% whether you’re "meeting" your prospect over the phone or in person. This goes far beyond the basic "selling 101 model" taught elsewhere. Step by step walk through examples of real life case studies on how to prepare an Offer in Compromise, Installment Agreement, Partial Pay Installment Agreement, Currently Not Collectible and Penalty Abatement Request. Line by line instructions, tips and strategies on completing a 433-A with examples. Bonus #4: A Quick Start Audio CD: that describes everything in the program and exactly what you need to do to hit the ground running with your marketing. I've helped hundreds of CPAs, Attorneys and Enrolled Agents use these exact strategies to make huge profits from their own practices... I'm hoping that YOU will decide to be next. 13.4 million Americans have an IRS Problem. That’s one out of every 50 taxpayers no matter where your office is located. Are you ready for more clients and income? Get the secrets to generating all the leads you could ever want - including the three key questions you need to answer to attract highly qualified, easy-to-work with potential clients. Get my "One Call Close" Consultation Strategy Script... I used this exact system to close $5,000 to $40,000 deals on one phone call or face-to-face meeting! Get my fail-proof system on how to get clients to actually SHOW UP once they've made the appointment - you can't help them if they don't show up, this simple technique makes certain they'll be there. Learn the correct way to "answer the phone". If you don’t, it could be costing you tens-if-not-hundreds of thousands of dollars... and the specific steps you must take to make sure every in-bound call produces maximum results. Learn what to charge and even how to GET PAID IN ADVANCE - imagine how great it'll feel knowing that you'll finally be able to take home what you DESERVE! How great would you feel knowing exactly what to say to prospects and how to handle clients and their objections knowing what questions to ask, knowing whether or not you can help the client by providing real value? Know, by then end of the initial consultation, what you can do for them, what to charge and how to structure your fees. Imagine being able to collect your fees in full before their case is settled. Or knowing which clients you should take and which ones to repel. Imagine how would you feel knowing the exact systems to have in place to track the work so nothing falls through the cracks? What about knowing when and how to communicate with clients about the progress of their case? Imagine how you would feel knowing the client feels great about you even when the IRS is dragging thier feet? 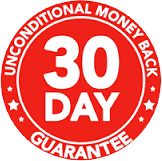 Imagine then that you were able to turn these leads into quality clients – that not only valued you, but also demonstrated that respect by compensating you at the rates you truly deserve... in ADVANCE! BEST VALUE: Volumes One & Two Sold As a Package Set - Only $3,497! Or just two payments of $1,799! Volume One: Marketing and Sales Mastery - Just $1,997.00! Or just two payments of $1,050! 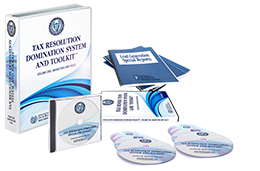 Volume Two: Client Control and Case Resolution - Just $1,997.00! SAVE $500 Purchasing The Set! Your investment is just $3,497! Your investment is just $1,997! "Everything I have learned (from Michael) has been gold. Every piece of advice I have taken from Michael Rozbruch has made me money." "I must say, it's been the difference between getting $2,500 at most for offers in compromise and getting 3X that! I'd estimate, in 2015 alone, your materials are going to generate over $200,000 in tax resolution fees for our firm! That means, tax resolution will become the main revenue source for us." "Well, Michael – you said it would happen…and you were right! I’ve just booked over $62,000 in new Tax Res work! This, in a little over 2.5 months! I’ve been using your Special Reports and marketing Referral Letters. I haven’t even engaged in any paid advertising yet! And I’ve done this with no employees and no other support staff in a fairly small town of 125,000 residents. The other day I got my biggest case to date – a $14,000 case for 6 years of unfiled returns, an Installment Agreement and Penalty Abatement Request." 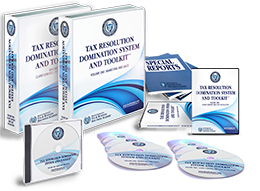 "In the first month that we did our mailings of approximately 1,200 Special Reports, we got 4 clients and $19,000 in new tax resolution business. We have so far done $43,000 in new business spread across just 8 clients!" "I’ve been in the tax resolution business for a long time. I had deluded myself into thinking that I really couldn’t learn anything more. Within 5 hours I learned something that will really transform my business – on the technical side of things that I honestly didn’t know. That was surprising to me. I had a lot of take-a-ways on the process side – how to run my business a lot better. I’m really excited. I know this is going to blow my business away!" - Darrin T. Mish, Esq.